Intensify your highlight with the new Ambient® Metallic Strobe Lighting Palette, available exclusively this holiday season. Intensify your highlight with the Holiday 2017 Limited Edition Ambient® Metallic Strobe Lighting Palette. This limited edition palette of Ambient® Metallic Strobe Lighting Powders provide the brightest highlight to the skin. With a smooth velvety texture, these highly concentrated metallic strobing powders glide across the high points of the face to reveal a reflective, vibrant glow. Introducing the Holiday 2017 Rose Gold Limited Edition Ambient® Lighting Edit – Volume 3. This travel friendly palette of lighting essentials features three best-selling and three new exclusive powders for a flawlessly lit complexion. From a fresh, youthful look for day to a sophisticated, vibrant look for night, the Ambient® Lighting Edit is everything you need to finish, brighten, contour and highlight your skin in a single compact. Apply with the Ambient® Lighting Edit Brush, a double-ended brush perfectly sized to be used with the Ambient® Lighting Edit. Confession Ultra Slim Lipstick is available in 32 longwearing shades. 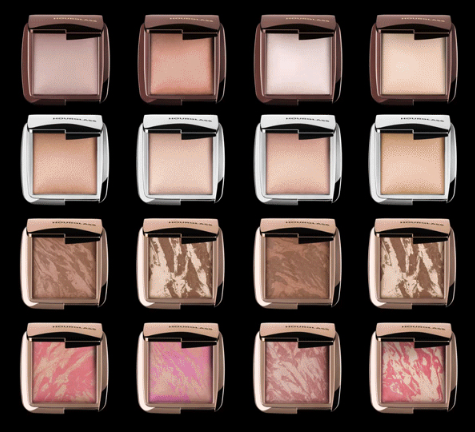 Create your perfect light with our Ambient® Lighting Collection – now available in travel sizes. 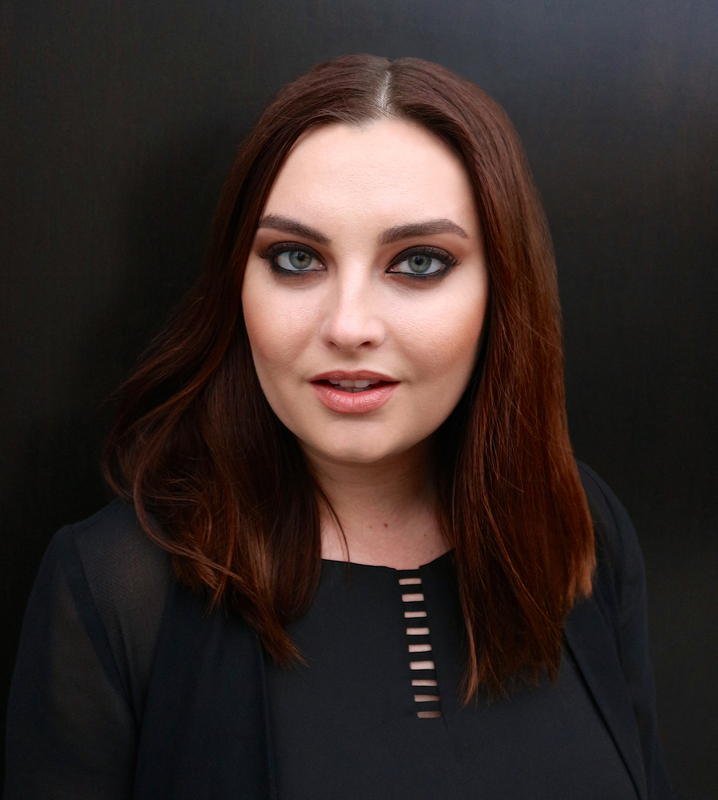 Meet Chanel, Hourglass Resident Artist. As Resident Artist at Hourglass Abbot Kinney, the brand’s flagship store in Venice, CA, Chanel Temple is responsible for training new artists on the latest Hourglass launches, leading master classes, hosting in-store events and providing private tutorials for clients. Her love for makeup as a young girl transformed into a career as a makeup artist starting at the age of 18. Chanel has since worked with several clients for red carpet events including the Oscars and Emmys, and is regularly featured on Hourglass social media channels. On clean skin, apply 1 pump of Veil Mineral Primer. Dot Vanish Seamless Finish Foundation Stick on the cheek, forehead and chin and blend in circular motion. Finish the complexion with the Ambient Lighting Palette for a lit-from-within glow. Define, fill and blend brows using Arch Brow Sculpting Pencil. Available in 9 shades, model is wearing Warm Brunette. Using the Modernist Eyeshadow Palette in Infinity, apply shade Warm Ivory under the brow bone. Next use Dusty Rose in corner of the eye, Bronzed Mauve all over the lid, and Cool Taupe in the crease. To create the smokey eye, use Dark Cocoa on outer crease corner and smudge along lower lash line. Apply 1.5MM Gel Eye Liner in Obsidian to line the upper lid and apply Film Noir Full Spectrum Mascara to complete the look. For ultimate control, use the angled tip of Confession Ultra Slim High Intensity Refillable Lipstick in One Time to first line the lips and then apply all over for a longwearing, satin finish without smudging or feathering. 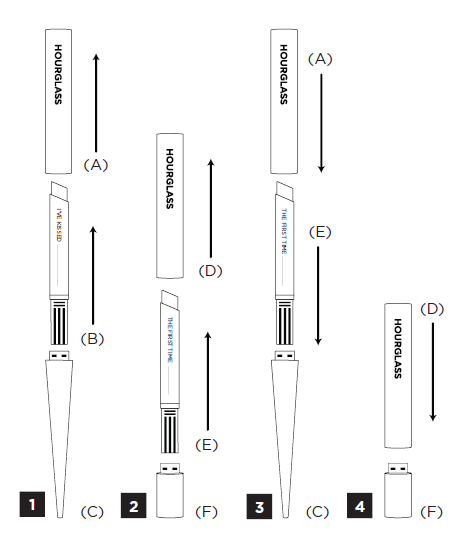 Each ultra slim refillable lipstick delivers saturated, longwearing color with a satin finish. Featuring the ultimate clutch-worthy lip accessory, the sleek gold applicator is designed to be used interchangeably with the entire collection of Confession Ultra Slim Lipstick Refills. Confession Ultra Slim High Intensity Refillable Lipstick delivers saturated, longwearing color with a satin finish. The entire collection of Confession Ultra Slim Lipstick Refills can be used interchangeably with the sleek gold applicator – the ultimate clutch-worthy lip accessory.. NOTE: Confession Ultra Slim Lipstick Refills are meant to be collected and used interchangeably with the gold applicator. Individual refills are available for purchase online. Build your Confession Ultra Slim Lipstick wardrobe and collect all 32 shades. 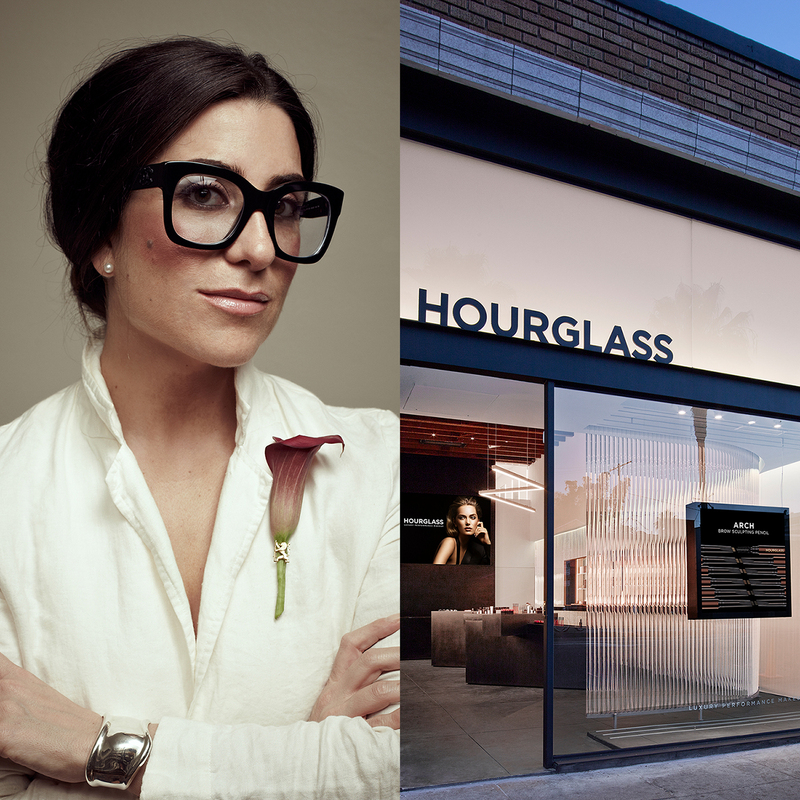 We’re excited to welcome master brow expert Jimena Garcia as an Hourglass Artist in Residence. One of the most sought-after brow artists in the industry, she has tended to the brows of LA’s A-List celebrities to New York’s top beauty editors. She has been featured in Vogue, Vanity Fair, Glamour, Town & Country and more. Garcia splits her time between New York and Los Angeles, and she has garnered a cult following through her techniques that accentuate brows by creating the perfect form for each individual. Garcia started her career in Art History at The Metropolitan Museum and Parsons School of Design. Through her study of the face, she discovered how fundamental the eyebrows are to the structure of the face. As a renowned esthetician, she has translated her interest in fine art to creating the most beautiful portrait possible through the brows. While her aesthetic is, in her words “enhanced natural,” she works closely with each client to find their perfect brow shape. “The brows I create depend on the person: I consider each individual visually, aesthetically, and personality wise.” Her extensive wisdom in self-care and respect for her craft is showcased by her anointment of essential oils, crystals, and rose water during her signature treatments. Garcia will be at Hourglass Abbot Kinney for select dates. In your personalized consultation, she will expertly assess and shape the perfect brow for your individual face and desired look. Space is limited. Book your appointment today.